I once had a poinsettia that I kept alive for nearly ten years. 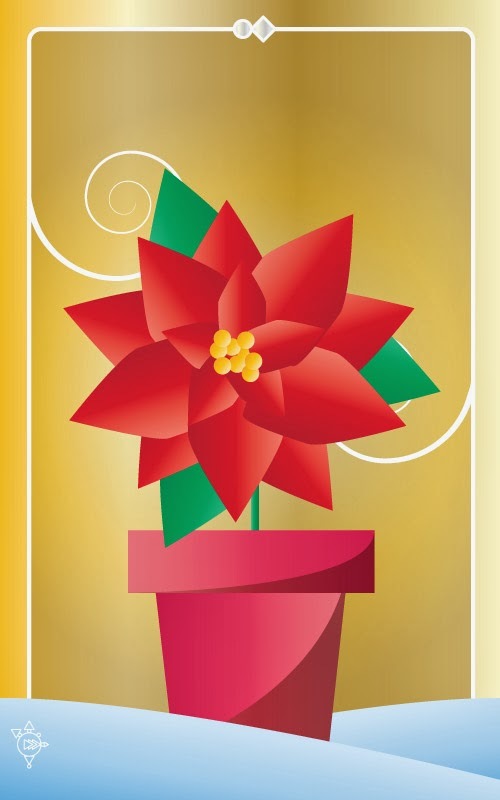 It bloomed every Christmas too, as long as it was exposed to natural day-night cycles. That's the secret, you see. Poinsettias will only bloom when the nights are long and the days are short. They will never bloom again if you keep them at your office. Or if you throw them away after Christmas. I've seen poinsettias in bloom in the wild in two places. When I was a kid, my family took vacations to the American Southwest in the winter. I remember poinsettias blooming alongside a several hundred-year-old mission church in southern Texas. I also saw poinsettias at the end of their flowering cycle along a roadside on Tenerife in the Canary Islands. Long woody stems with explosions of red at the ends were growing between the road and the sea on the way to Punta de Teno. I love poinsettias. They're one of my favorite things about Christmas.